The House Oversight committee now chaired by Democrat Elijah Cummings issued an interim staff report after several whistleblowers came forward "to warn about efforts inside the White House to rush the transfer of highly sensitive U.S. nuclear technology to Saudi Arabia in potential violation of the Atomic Energy Act," spearheaded by Jared Kushner, according to a press release by the House Oversight Committee. The press release is in conjunction with the announcement of an investigation into the allegations. The plan, which reportedly involved former White House National Security Adviser Michael Flynn, Kushner and Trump fundraiser Thomas Barrack, would see the development of "dozens of nuclear power plants" in a "Middle East Marshall Plan" through IP3 - a private US company which has "assembled a consortium of US companies to build nuclear plants in Saudi Arabia." The whistleblowers allege that the efforts were made without review by Congress "as required by law," and may be ongoing to this day. 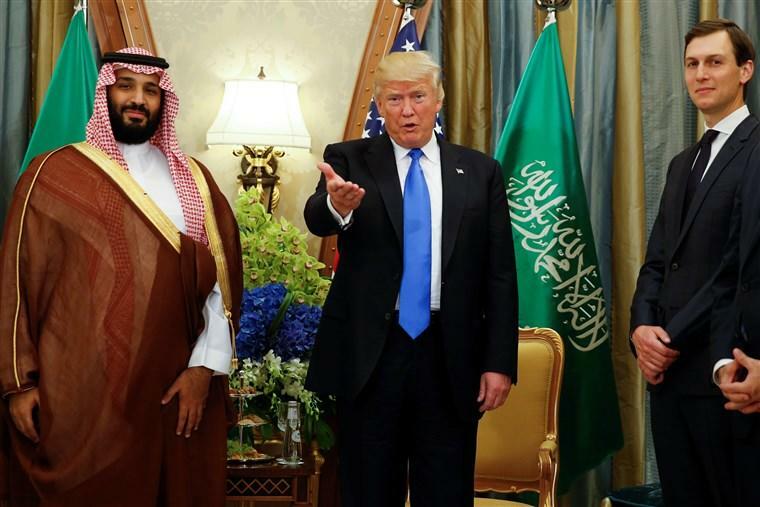 According to the report, efforts to transfer the sensitive US nuclear technology to Saudi Arabia may be accelerating following White House meetings last week ahead of Jared Kushner's planned visit to the Middle-Eastern country. The report notes that the White House has failed to submit a report on the murder of Washington Post columnist and political operative Jamal Khashoggi. The report describes new documents and communications between White House officials, including former National Security Advisor Michael Flynn, former Deputy National Security Advisor K.T. McFarland, and former NSC Senior Director for Middle East and North African Affairs Derek Harvey, as well as with Thomas Barrack, President Trump’s personal friend of several decades and the Chairman of his Inaugural Committee, and Rick Gates, President Trump’s former Deputy Campaign Manager and Deputy Chairman of the Inaugural Committee who has now pleaded guilty to financial fraud and lying to investigators. Today, Cummings also sent letters to multiple entities involved with promoting this plan, including the White House; the Departments of Commerce, Defense, Energy, State, and Treasury; the Joint Chiefs of Staff; the Central Intelligence Agency; Flynn Intel Group; IP3; ACU Strategies; Colony NorthStar; and Mr. Barrack. Click here to read the letter to the White House.